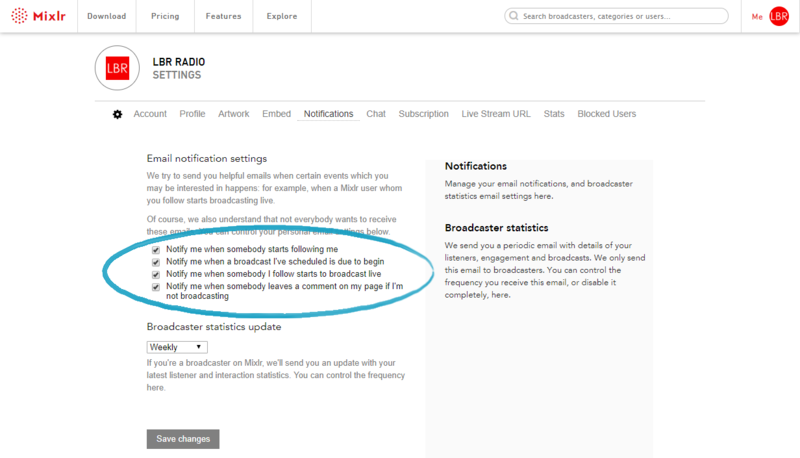 In this article we'll show you how to manage your email notifications, so you can subscribe to and unsubscribe from the emails you receive from Mixlr. 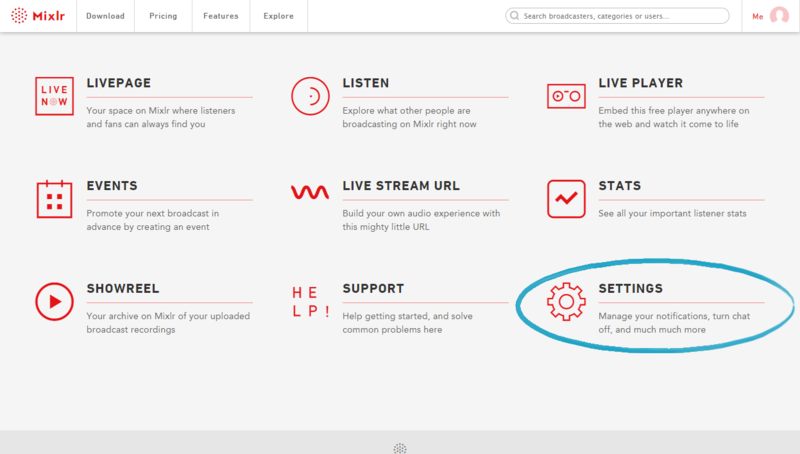 From the Settings page select the Notifications tab. TIP: you can navigate directly to your Notifications page by clicking on this link. 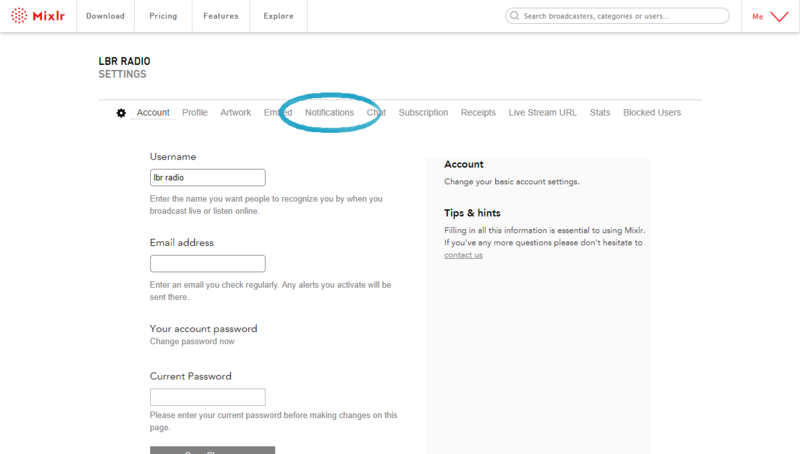 On the Notifications page you can select and deselect which emails you would like to receive from us. You can also choose how often you'd like to receive your regular stats email - or if you prefer, you can opt out of receiving this. 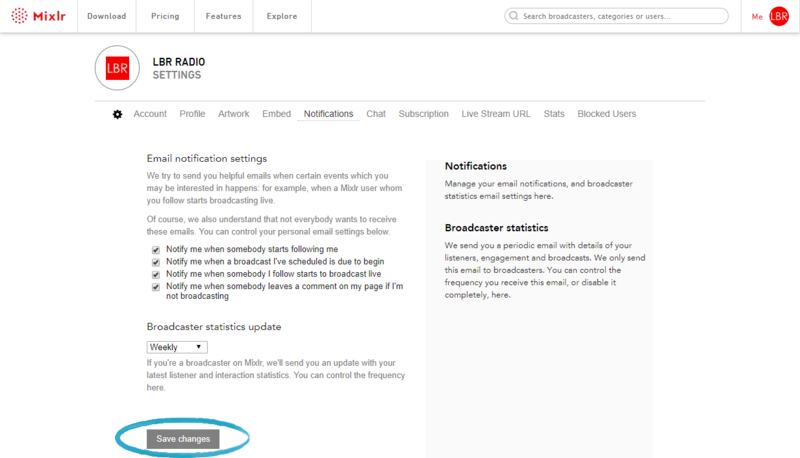 Once you have updated your notification preferences ensure that you hit the 'Save changes' button to update this.